Nepal’s scramble for first ascents – or are they? We’ve been hearing a lot about fake news recently, but don’t worry, I’m not going to talk about politics. Fake news gets everywhere, including the Himalayas. 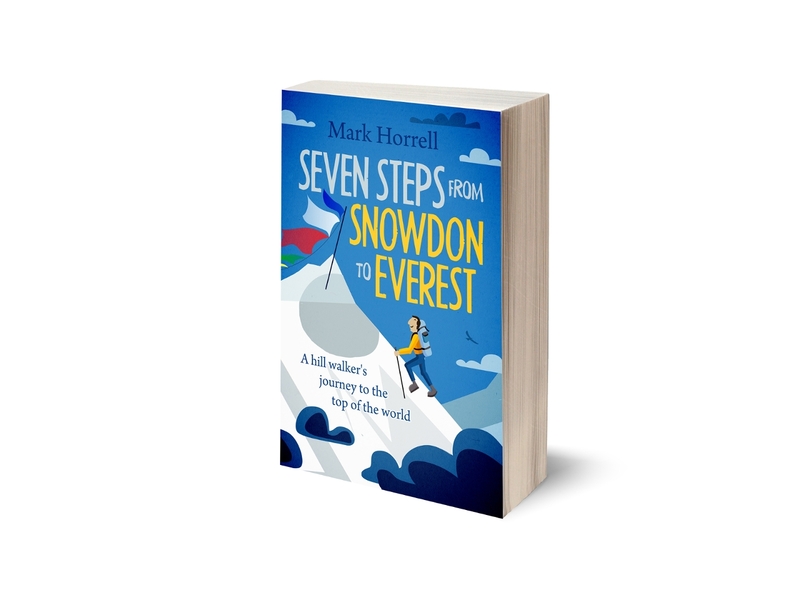 On this blog I’ve written many words about how the mainstream press churn out fake news about Everest based on the latest government announcement. 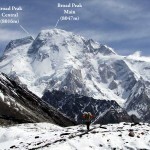 More recently I wrote about how recent summit claims on Manaslu might not be what they seem. Fake news isn’t anything new. A famous historical example of fakery and mountaineering was Frederick Cook on Denali. In today’s post, I’m going to talk about firsts. In the post-truth internet society, where any fool (including me) can promote themselves to a potential audience of the entire world, there’s a lot of competition to stand out from the crowd. My preferred method of doing this, is to try and write about something moderately adventurous in a moderately entertaining manner, using jokes from the 1970s. Other people prefer to “do a first”. What is and what isn’t a first is a matter of debate. Some firsts seem so contrived that they stand out from the crowd in the same way that a boy with a pineapple strapped to his head would stand out in an old school photograph (I’ve written about this before too). In Nepal the problem of firsts quickly became much worse in 2014, when the government published a list of 104 “new” peaks that were now open for climbing. Well, actually there were several problems. Some of the names of the peaks were brand new and hadn’t been used before. A number of these new names were for peaks that already had perfectly good names, leading to even more confusion. It’s likely government officials didn’t conduct surveys of the peaks before adding them to the list, and many weren’t particular suitable for climbing or even very distinct. Most importantly, some of the peaks had been climbed before, but it wasn’t always easy to tell. The peaks of Nepal have been open for climbing since the 1950s, but permit rules have changed regularly in that time. Some of those described as newly open in 2014, had been open in the past. Peaks may also have been climbed without a permit for a number of reasons: either because climbers were unaware a permit was required, or because they weren’t prepared to pay the fee, whether out of principle or because they objected to the cost. So how do you tell if a mountain has been climbed? Not easily. For the Himalayas there are a number of sources, and you may have to consult all of them to be certain. 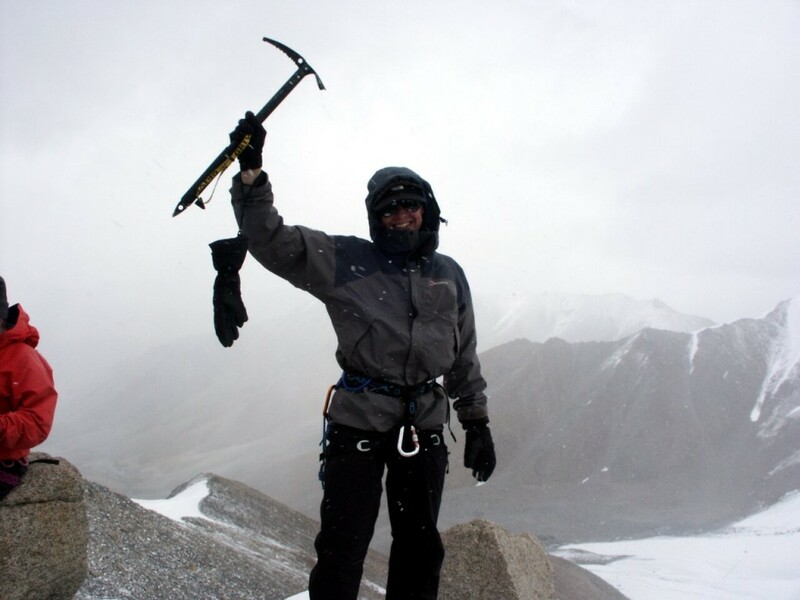 Several organisations have documented ascents over the years, including the UK Alpine Club, the American Alpine Club, Climb magazine, and the Himalayan chronicler Elizabeth Hawley. The Alpine Club’s Himalayan Index is an online source that can be searched by geographical coordinate, but it only includes references for further information. The American Alpine Club’s publications database is also available online, and includes the full text of articles about previous ascents, but rarely lists the coordinates. Climb magazine also has a database of mountain info, though it’s a puzzle to access. Elizabeth Hawley’s Himalayan Database may be more comprehensive, but it’s only available on CD. It doesn’t help that in addition to having different names, many mountains also have variant spellings. You would need to be a true peak geek to find a way through all of this. Most climbers aren’t (and neither am I). Here are some examples. In 2013, before the government of Nepal published a list of coordinates for the 104 peaks, I tried to identify the locations of the newly named Tenzing and Hillary Peaks by altitude alone. I correctly identified Tenzing Peak as a point on the east ridge of Cho Oyu, but I mistakenly placed Hillary Peak much further east on the Lhotse-Nuptse ridge. 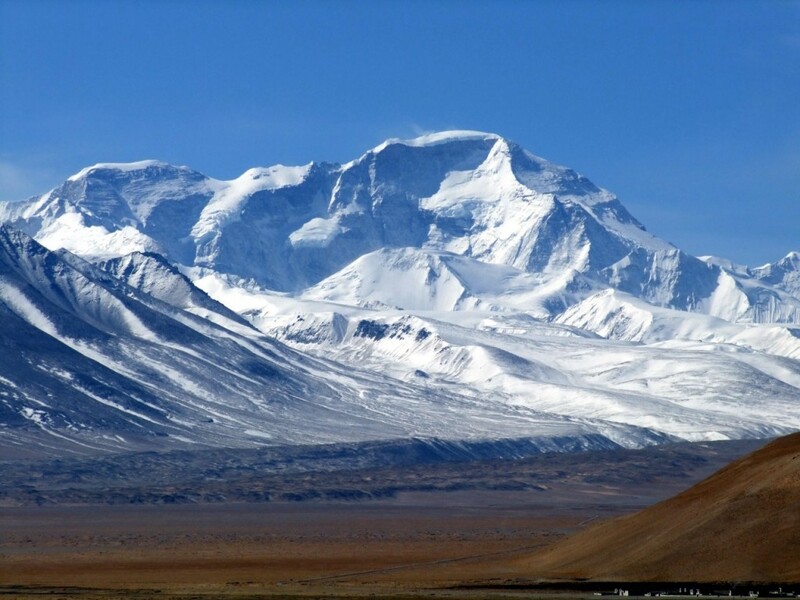 In fact, it turned out to be just next door to Tenzing Peak. What I also didn’t know was that these peaks already had names, variously Ngozumpa or Ngojumba Kangs I, II and possibly III. If you search the Himalayan Index or the archives of the American Alpine Club, you will find that some, possibly all of them, have also been climbed before, as early as 1965. This, however, didn’t stop Canadian adventurer Elia Saikaly carrying out a much publicised expedition there earlier this year, which included producing a documentary film for the Discovery Channel with the potentially misleading title Unclimbed. I can’t fault him for this, however, because my own blog post also proved to be in error, despite my best efforts. Two more well-publicised examples of debatable first ascents occurred earlier this month. The Nepali operator Dreamers Destination ran a commercial expedition to a mountain called Khang Karpo in the Rolwaling area of Nepal with a group that contained a number of professional adventurers. This expedition was supposed to have been a first ascent to one of the 104 “new” peaks on the government list. But there’s a strong possibility Khang Karpo is one and the same as a peak called Ripimo Shar which has had several documented ascents. How the mountain came by either of these names isn’t clear, but Dreamers Destination can probably be forgiven for not being aware of this. More controversially, an American adventurer called Sean Burch claimed to have made 31 first ascents in 21 days in a rarely travelled area of western Nepal. Burch is in trouble with the Nepalese authorities because he didn’t have permits for any of them. He believed he didn’t need them, because all the peaks were under 5800m (peaks under 5800m are promoted as trekking peaks rather than expedition peaks, but you’re still supposed to have a permit). For me, more controversial than the permits, is the claim itself. 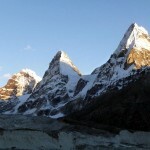 31 unclimbed peaks in 21 days? Given the confusion finding reliable historical data about even one peak, it’s hard to believe he established beyond doubt that all 31 peaks had never been climbed. Sean’s website doesn’t provide any information about the 31 peaks, and without this it’s hard to take his claim seriously. First ascent claims need to be backed up with a bit of history, as evidence that the person making the claim has done their research and satisfied themselves that nobody has been there before. They may not always get it right, but that’s OK. They can be forgiven for that. It’s not always possible to read every source, or even know about them. I personally have no lack of respect for anyone who holds their hands up and says, OK, it wasn’t a first ascent, after all. They will have had a great adventure anyway, and be richer for it. So why do people think firsts are so special? I must confess, I’ve never really understood this. Of course, there’s something extra special about the historical accounts of the true pioneers, risking their lives to go somewhere nobody had ever been before. But most modern day exploration, and certainly most modern day firsts, are nothing like that. If you’re doing a first to make yourself known, then it’s the story that matters. This can involve the thing itself, but mostly it’s the way you tell it. Every experience is unique, seen through different eyes. You need an angle for your story, but there are all sorts of ways of finding this; manufacturing a first is one of the lazier ones. When I first heard about the 104 new peaks I must confess that I did think to myself, “that’s an idea. It would be nice to have a go at one of those”. But I don’t think that now. I won’t be joining the scramble. Nepal’s 33 trekking peaks have been open for a few years now, and some of them only get a handful of ascents a year. In 2014 the rules were changed to make any mountain under 5800m climbable with an ordinary trekking peak permit. I’ve said before that expeditions to Nepal’s trekking peaks are some of my favourite trips, because at heart I’m a hiker and not a climber, and most of them involve a long trek just to get there. There is much less paperwork involved in these peaks, and they are cheaper too. I’m sure I will get some great stories out of them. 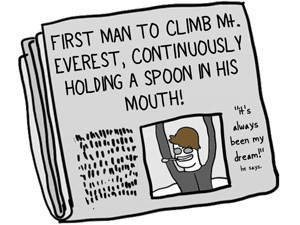 1) I think first ascents are kind of a big deal, after all they are well, umm, first. And that takes some form of ingenuity and courage to take on the climb, figure out the route and return home alive – in most cases. 2) I don’t think first are a big deal 🙂 unless it is on some kind of gnarly, manky Hill that others have tried, and failed, but some wild person actually pulls it off. For example Meru or Orge II. 3) The trend of self aggrandizement within the climbing community, or elections :), has exploded given all it takes is a social media account and time to teach your dog to type while you are out climbing. 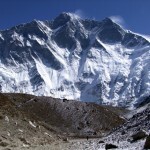 1) yeah, yeah, says the oldest American to climb K2! I thought I had posted something here Mark.I can’t remember now what it was but it would have been very complimentary. What’s funny about the oldest American thing is that none of us even thought about before the climb. But someone asked over dinner one night how many Americans had summited K2 so we went looking and that was when we discovered IF I summited I would be the oldest American. I have a dog like that too. He is demonstrably hexed, but he types fairly good.